Two female belugas will travel from China to the sanctuary in Iceland after a training programme to get them ready for the move and their new life. The world’s first sanctuary for beluga whales is being created in a bay in Iceland to re-home animals kept in captivity, it has been announced. The open water sanctuary in a rocky inlet on Heimaey, an island off Iceland’s southern coast, is being created by the Sea Life Trust as a more natural home for two beluga whales which have been at an aquarium in China since 2011. 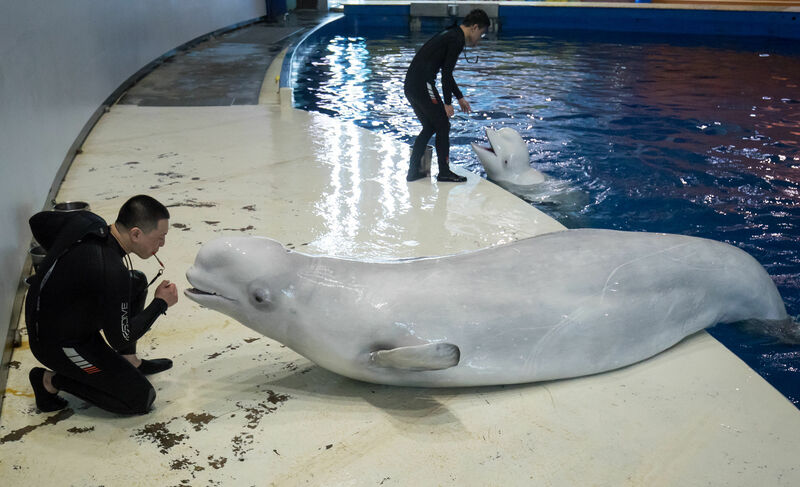 The two females known as Little Grey and Little White will be taken on a 6,000 mile journey from Changfeng Ocean World in Shanghai to become the first residents of the Sea Life Trust Beluga Whale Sanctuary next spring. The move by the trust, in partnership with Whale and Dolphin Conservation (WDC), aims to lead the way in the rehabilitation of other captive whales into more natural environments to improve their welfare. And it is hoped it will help bring an end to whale and dolphin entertainment shows in the future. Little Grey and Little White, both 12 years old, are being readied for their journey by air, land and sea to the sanctuary with a training programme which gets them used to the equipment such as stretchers used to move them. The 4-metre long (13ft) whales will also be prepared for the conditions they will find in their new home, with training to hold their breath for longer, for the dives they will be able to do in the bay, and to swim in tides and currents. 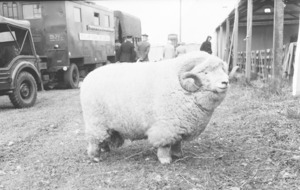 Their calorie intake of a rich diet of herring and capelin is being increased to create the extra blubber they will need in Iceland’s cold subarctic waters, and their concrete pool in Shanghai is slowly being made cooler. 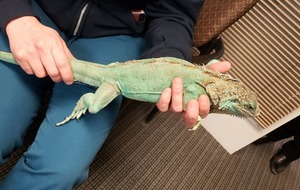 Once Little Grey and Little White have completed their 30-hour journey with a team of vets and experts to keep an eye on their well being, they will initially be kept in a pool by the bay to acclimatise to the new conditions. They will also be introduced to the creatures they will find in their new home, such as crabs, and plant life including kelp. 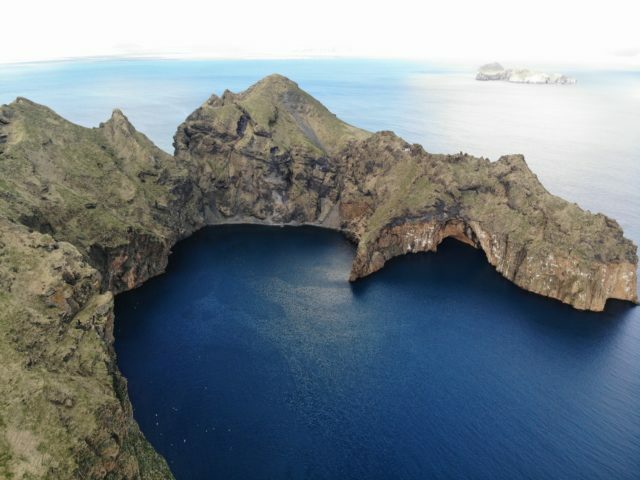 They will then be introduced to their new home, a natural sea inlet in Klettsvik Bay, covering 32,000 square metres and a depth of up 10 metres, closed off using netting to provide a secure area relatively protected from the elements. The experts believe the pair, originally from Russia, will never be ready for a fully wild life, because of their time spent in captivity. 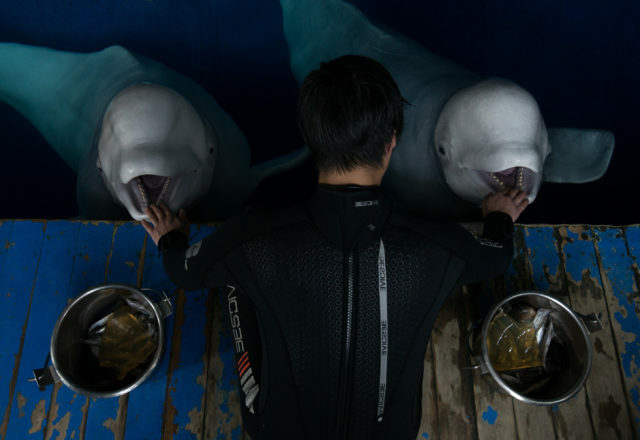 But the sanctuary will provide them with a much more spacious, more natural environment where they can behave more like wild belugas for their rest of the lives, which could be up to 40 or 50 years, the team said. 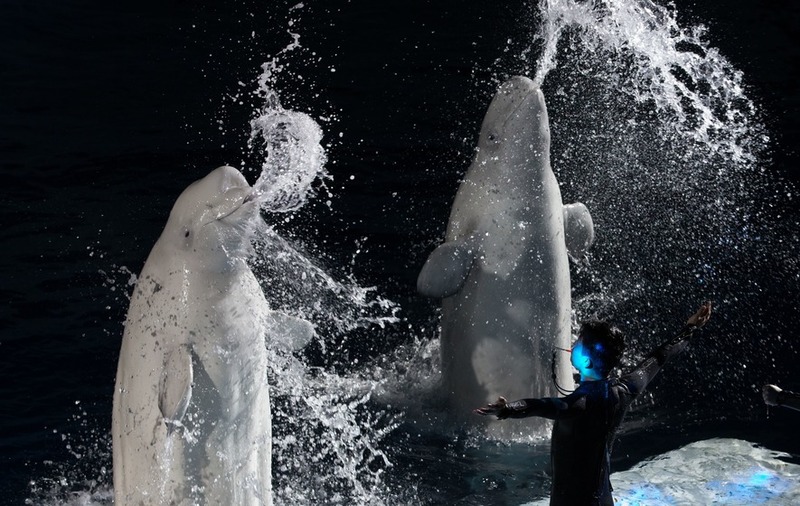 Merlin Entertainments, which opposes keeping cetaceans such as whales and dolphins in captivity for entertainment, began the search to find a new home for Little Grey and Little White after acquiring Changfeng Ocean World in 2012. It has provided funding to cover the costs of building the sanctuary and relocating the belugas for the project, which is also supported by Sea Life chain of aquariums. Andy Bool, head of Sea Life Trust, said: “We’re delighted to break new ground in marine animal welfare with the creation of the world’s first sanctuary for beluga whales. He added that “providing a more natural habitat for Little Grey and Little White to dive into cool waters and interact with the natural environment will greatly enhance their quality of life”. The sanctuary will also include facilities to care for the whales and a visitor centre. 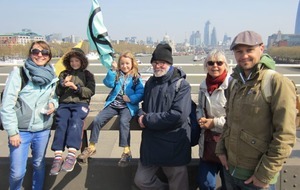 Chris Butler-Stroud, WDC chief executive, said he hoped the scheme would provide a “blueprint” for other sanctuaries for captive whales and dolphins, which is needed to address the health and welfare risks they face in captivity.